An open letter to City & Country following the rejection of their plans for Shepton Mallet Prison – “please live up to the high standards and integrity you set yourself” | Don't mention the M word! Your plans for Shepton Mallet prison (146 homes and only 150 parking spaces) were rejected in part this week in an extraordinary planning board decision that didn’t align with the Council’s own planning officer’s recommendations. The main sticking point was the parking provision and you have put on public record that you may have a plan b already in consideration. I hope that this short pause in the proceedings will allow you to re-think your ideas and I hope above all that your mission to “Cherish Heritage and Creating The Future” can be realised in Shepton Mallet. Your representatives told me that your prison conversion plans have NEVER BEEN attempted in Europe. Helen said publicly (BBC interview) that the heritage conservation will be limited and selective. By all accounts after the residential development Shepton Mallet Prison will no longer look or feel like a prison that (in the words of a respected Professor of Archaeology) is described as a “monument” and one of the most important ancient prisons in the country that “needs its heritage respected”. Will your vision for the prison help Mendip District Council achieve its aim of the town being a heritage and cultural draw? 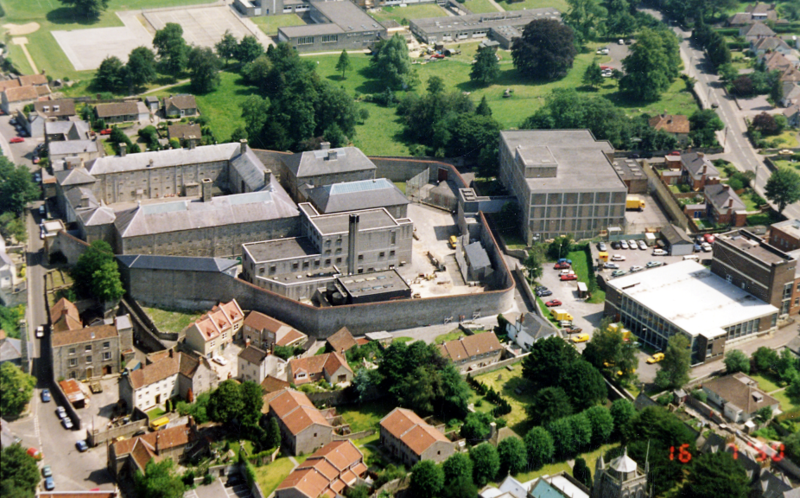 The prison is one of Shepton Mallet’s most valued heritage assets; one of only a few Grade II* Listed Buildings within the town. It is imperative that this heritage asset is safeguarded and that any plans for its redevelopment help realise the vision for the town in terms of its overall revitalisation and growth of heritage related tourism. A common theme of the objections earlier this year to your planning proposals was the provision of parking spaces – one space for each of the one, two and three bedroom homes, with four spare for visitors, including the Heritage Centre. Shepton Mallet is an historic market town with no mainline train station and limited public transport. Many people have to commute many miles to their places of employment. Many people have no choice but to use a car. City & Country underpin their ideas for the prison with a sustainable transport plan, meaning simply people who buy the flats will accept that there are limits on their use of cars. Your parking plan was dismissed by councillors, who said it was flawed and unenforceable. If you had understood the town, the area, following your research and engagement with stakeholders, surely you would have understood the reality of your parking plans? Local residents and councillors were strong in their condemnation around safety resulting from your parking provision, especially with schools being close by on the narrow lanes that surround the prison. You have said very little about the graves of known prisoners, executed as recently as the 1920s, They will need to be exhumed to make way for the new mews buildings. Little is known about your approach to this sensitive procedure. The bullet holes in the prison walls from firing squads are also to be covered up by the mews new buildings despite concerns from Consultees and local people. The red brick building constructed by the US Armed Forces to carry out executions in World War 2 is to be demolished. The bullet holes and execution chamber are amongst only a few, if not the only, features remaining from this important period of the site’s history. You are simply wiping out this history because you believe it is not important. The development proposals require the demolition of bat roosts, with little thought given to how to accommodate them in the future site proposals. It requires the site to be lit internally and externally – again with little thought to the bat population or surrounding neighbours. The flats need to be built to cover the costs of the redevelopment. There is no room for ‘affordable housing’. Perhaps the development is so costly because there are so many costly interventions built into the plans? It cannot be cheap to relocate the bodies of executed prisoners, demolish so many buildings and internal features and build so many new elements. Is housing the correct future use for this building? - How has the prison’s heritage been valued and communicated to stakeholders? Did City & Country fulfil their promise to engage with stakeholders effectively? - Did City & Country inform stakeholders of any significant heritage or historic value during their consultation allowing for a more informed response back to you? - Were any alternative proposals given a chance once the MoJ decided on their timeline of sale and to sell 4 prisons as a job lot? Was this a done deal as soon as the sale was agreed with you – a property developer – who only builds residential units? If so, why did you ask local residents what they wanted the future of the building to be, when you had a residential model in mind from the start? - Is this all that Shepton Mallet can expect for what is an important heritage asset? This is a once in a lifetime decision for the town and surrounding villages and the final decision will affect generations to come. Can you not take a more heritage-led approach to your plans now you have the opportunity to re-think, instead of purely residential-led model which at its heart has your own commercial viability and requires a quick fix to your parking ideas? The prison belonged to the tax-payer and was sold off on our behalf to an award-winning heritage developer with a reputation to upheld and who the MoJ trusted. Unless you re-think and offer up more of the space for community and heritage use, you are not living up to the high standards and integrity that you set yourselves and as such a legacy will be left for future generations of the town to bare witness. What a powerfully poignant open letter. I agree with all you have said. Developers may generally be used to trampling over the public’s feelings and going ahead with their money making schemes but I have great faith that this company will be different and end up listening in the end, as they will see that the knowledge and advice you are giving them will be invaluable to them and the financial success they are looking for. This project needs to be morally viable as well as financially viable in order to come to fruition, for all stakeholders. Fantastic letter . . . I’m glad there is someone fighting the publics corner on this one. Personally I’d like the prison to be a heritage center so we can all enjoy it, but I also understand it needs to fund itself. This prison has great connections with other prisons (plenty of reference @ Bodmin Jail) and rail links that no longer exist. My great great grandad used to move prisoner’s to Shepton from Cheshire area on the railways. Something I recently found out! It has bags of history! I really hope it is used well. I worked at HMP Shepton Mallet. It is steeped in history and the original part should be preserved as a museum, with all the artefacts (if they are still there). The rest could be an educational space for the local community and for historians. It would also make a good film set. As for some of the cell blocks, why not keep some as they are and make the block a funky hotel. Prison experience, anyone?! 1) Everyone agrees there is no space for additional car parking around the prison . 2) The local town council were unanimous in their support of this development. 3) MDC’s only objection was on car parking, presumably wanting to encourage more cars coming in and out the development which runs contrary to local concerns about increased traffic. 4) The availability of public transport is irrelevant. People know what they are buying into. If I want a two bedroom flat because I can make do with one car why should I pay extra for two slots? 5) Finally if you gave people the choice between an extra car parking slot and a heritage cell left untouched which do you think they’d choose? Our slavish worship of the car suggests to me the majority would pick the former. The town council met last night Tue 16 Nov and are now so fired up about car parking have moved from unanimous support to three against. C and C have been forced to come up with another 28 places at the expense of open places and landscaping but three council members are insistent they provide another two places – so that’s another garden gone to be replaced by two polluting cars. If only the various pressure groups could have recognised a good deal when they saw one and recommended acceptance of the first submission instead of lobbying councillors to turn it down on the basis of insufficient parking. Now we have the worst of all worlds.